CLEVELAND, TN – Kimberly Spence, Interim Human Resources Director was named Risk Manager of the Year by the Tennessee Public Risk Management Association (TnPRIMA). This award recognizes an individual who exemplifies excellence, innovation and commitment to the risk management profession. A panel of risk management professionals evaluated each candidate nominated for this award based on certain criterion such as developing, implementing and administering various programs that eliminate or reduce an organization’s risk exposures. 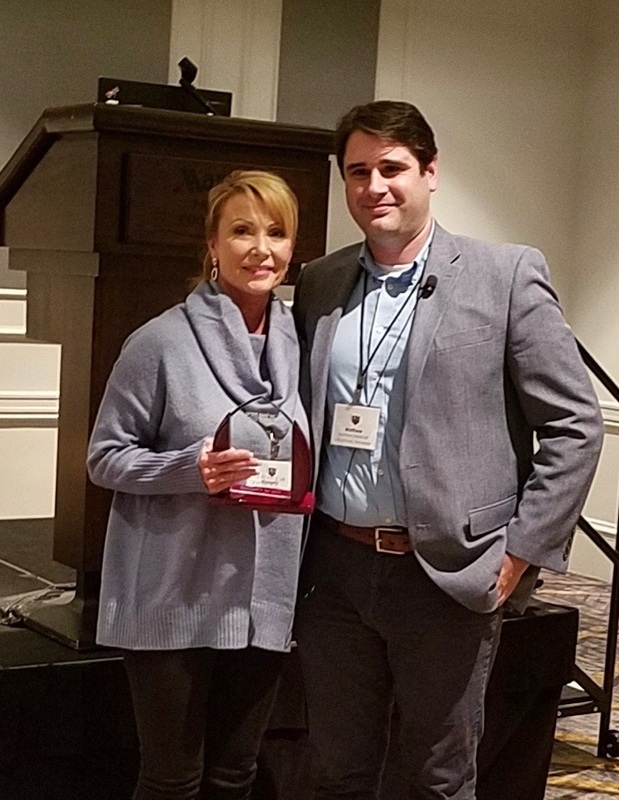 The Risk Manager of the Year award was presented to Kimberly Spence at the 2018 TnPRIMA Conference in Franklin, TN on November 8, 2018. TnPRIMA consists of approximately 400 risk management professionals representing 181-member organizations across the State of Tennessee. “We appreciate the service that Ms. Spence has made not only in risk management, but also in the advancement of others in the field,” said TnPRIMA President, Matthew Marshall. During Kimberly’s tenure with the City of Cleveland, she has implemented various programs including: working annually with departments to determine safety needs for grant funding, receive funding for EVOC training materials, acquired numerous safety equipment items for all departments including security cameras and recording devices for city properties. Kimberly has also implemented a safety committee to review accidents to decrease automobile liability claims, create new drug testing policies and standards for a Drugfree Workplace to reduce workers compensation premiums, placed AED units in all city-owned facilities and implemented CPR/AED training programs for all city employees.